Welcome back, Julie. Shades are drawn and I'm pretending it's 3 AM. i knew it was you when i heard moodies! lovely to see you again indeed! glad to hear it, north! Hi queems, yes usually me or Frank! @northguineahills: Is your place filled with uninterruptible power supplies? I have two in my apartment in deep Brooklyn. Best investment ever! yeah! good to hear this old chestnut! OK, the sun is down here. Darkness will soon follow. yep Suzi doing goldfrapp. Nice cover. I'm going to have to go back later and listen to what I missed. I was busy chowin' down on vegan sandwiches imported from Brooklyn. If I got vegan sandwiches from BK, they better be mailed in a cooler! yum, Roberto. vegans taste good. yes. i guess i can stop pining for the set that i missed. The Stargazer Lilies, new to me and I dig! coincidentally, I have a friend that plays in the Lilys. also, coincidentally, I'm mapping a study on how phosphorus and other chemicals affects lilies in the Everglades for work. Yes, imported via the Q train. @Roberto: Isn’t the Q train fucked up this weekend? I was shocked that The G train and the R train worked perfectly fine this weekend. The Q train is actually running smoothly. It's every other line that's f'ed up. Hey Julie! I tuned in just before 9. Nice to hear you on the ray-dee-oh. hiya Wendy! good to see you, and good to be here! Loving the mysterious vibes on the radio show. Oh really? He uses Phenomenal Cat? i may be mistaken! but it seems to me Bill uses it for his program closing mic break. -great track though. i like that era of the kinks the best. 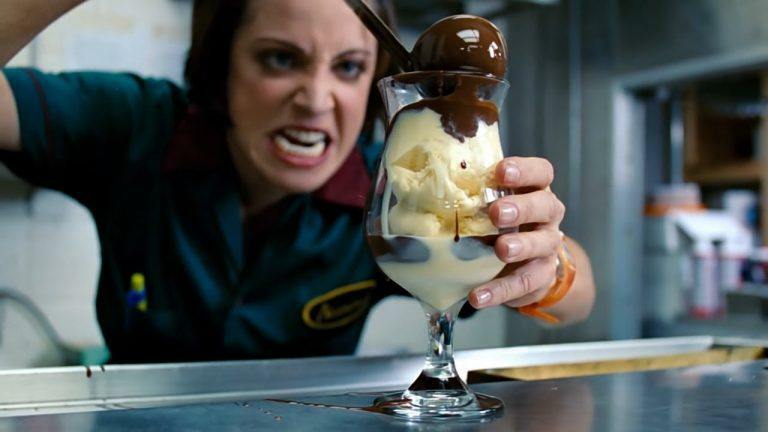 I'm hear for a rage sundae. Right place? More marshmallows than rage this week, I think, but yes right place Uncle Michael! The reverse image search on Google displayed the following: "Best guess for this image: gross food movie." Good name for a band, right there. Thanks for listening everyone! I'll be back night of June 14th (thursday) on the drummer stream. Yay, rah! Drummer stream Flag Day with Julie! so you're filling in for Little Danny - till midnight. good! i can probably catch you then.